Thursday night was the coldest of the winter so far as temperatures plunged to as low as -10.7C (12.7F). 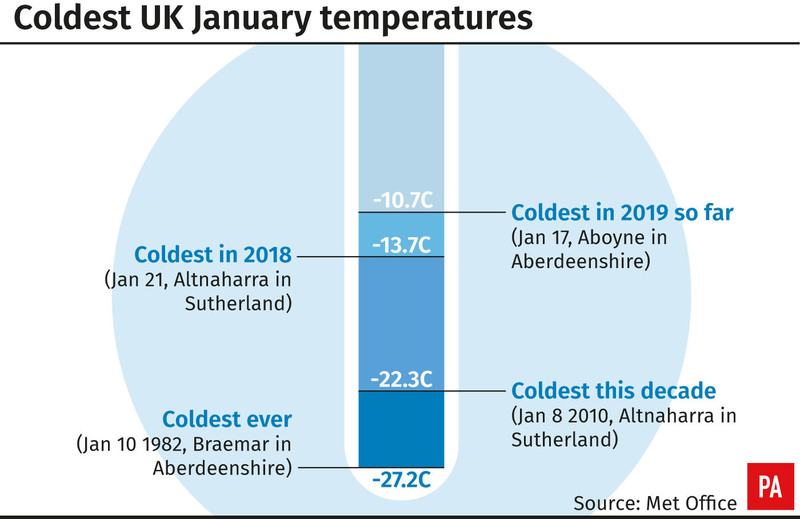 The double-digit low was recorded by the Met Office at Aboyne in Aberdeenshire, beating the previous mark of -10.5C (13.1F) recorded on January 3 in Braemar. 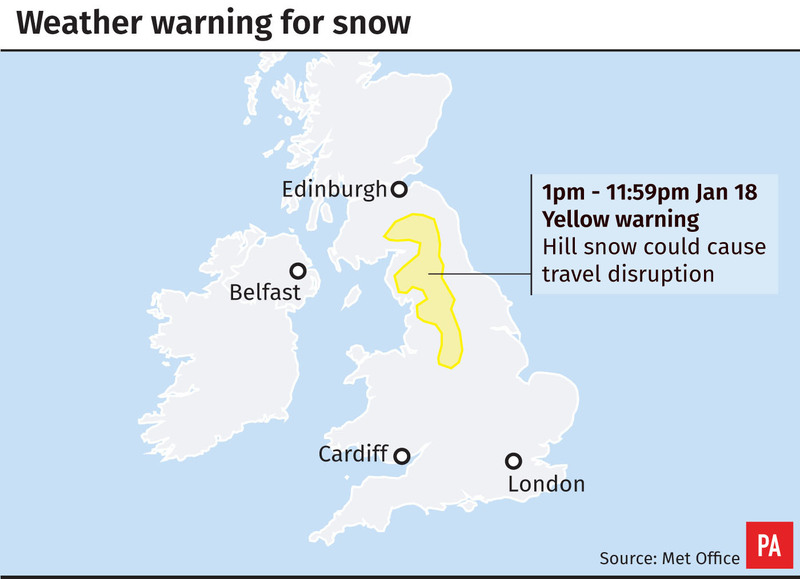 A yellow warning of ice and up to 3cm of snow along the east coast of England is in place until 10am while a yellow warning of hill snow in Wales is in place until 1pm. A further warning was issued for possible snow over hills in the south of Scotland, northern England and north Midlands from 1pm and through the evening. It said some roads and railways are likely to be affected as a band of rain, sleet and snow moves slowly east across England and southern Scotland. Between 1 and 4cm of snow could accumulate in the highest areas, it said. Meteorologist Alex Burkill said: “Winter’s here now properly. It feels like winter and the weather’s resembling it.